All of the below information comes directly from job reviews written by Procter & Gamble employees based on 116 reviews. Nearly five billion times a day, P&G brands touch the lives of people around the world. Whether they’re shaving with a Gillette Fusion ProGlide or Venus Razor; washing their hair with Pantene or Head & Shoulders; or cleaning the dishes with Fairy Liquid; people all over the world use P&G products every day. As one of the world’s largest consumer goods company, P&G has one of the strongest portfolios of trusted, globally recognised leading brands of any company in the world. The P&G community includes operations in approximately 70 countries worldwide and our employees represent over 140 nationalities. P&G recruits the finest people in the world, because they develop talent almost exclusively from within. This means graduates won’t just get their first job out of university; they are being hired into a career, with the expectation that they will grow into one of P&G’s future leaders… maybe even the next CEO. New starters with P&G can expect a job with responsibility from day one and a career with a variety of challenging roles that develop and broaden their skills, together with the support of training and coaching to help them succeed. P&G hires graduates into permanent roles, following a successful internship, placement or career academy with the company. P&G look beyond just good academic records from their applicants. They are looking for graduates who are smart, and savvy, leaders who stand out from the crowd, who are able to get things done. They want to hear about achievements at work, in clubs, societies, voluntary and community activities and to see how graduates have stretched and challenged themselves and others. New starters with P&G can expect a job with responsibility from day one and a career with a variety of challenging roles that develop and broaden their skills, together with the support of training and coaching to help them succeed. P&G offers careers in Commercial areas, such as Brand Management, Sales, Finance & Accounting, HR, IT and Technical areas such as Manufacturing, Engineering, Supply Network Operations and Research & Development. The commercial functions welcome applicants from any degree discipline. Product Supply (Manufacturing, Engineering, and Supply Network Operations) requires a technical degree. R&D requires an engineering or science degree. If you want to work for a large multinational company and don't mind working long hours for fast progression then this is the job for you! Based on how good a fit you will be for P&G vs. the Purpose, Values and Principles of you and the company. Embrace the PVP's of the company. In your CV make sure you clearly articulate what YOU personally did to achieve the specific and quantifiable results - don't list tasks, list achievements. Practice, practice, practice for the online tests! They are difficult. The interviews are behavioural question based... "tell me about a time when you...". You need to give examples of stories or anecdotes from previous jobs/teams/projects/volunteering that demonstrate the core skills asked for on the careers website. Always answer with CARE - context, action, result, evaluation. Read up on what the company values (our Success Drivers and Purpose, Values and Principles). A large proportion of people fail our tests because of lack of preparation and awareness; you not only need to practice logical/mathematical questions but also our success drivers test which looks to see if you are a good fit to P&G. As with your CV, look to include Context, Action and Result for all your examples (commercial, extra-curricular and academicals). Read the PVPs and success drivers on the company website and make sure they make sense to you and you can demonstrate them in your answers to questions. Same as the application - make sure you give context, action and result for your examples. Demonstrate attention to detail, focus on results and remember that the interviewer wants to hire someone they would want to work with. Demonstrate really strong leadership skills, a strong desire to win and an openness to constantly learn and be challenged. Tell me about a time you have shown leadership, an example of responsibility & when you have overcome a problem with a creative solution. Take time when filling out the application and plan your answers to fit the CAR format - context, action, results. Also make sure to focus on your contribution to results by saying "I did X" and "we delivered X"
It's a competency based interview. Always practice and even write out your examples beforehand... it can be tough in your first interview to think of a time when you showed leadership and then answer it in a CAR format so your make sure you're prepared! P&G looks for leadership, be sure to call this out irrespective of the function you are applying for. Ensure you practise the psychometric testing; too many good students slip up here. Competency based; follow the CAR format with your answers. C - Context of the situation/Example. A - Actions that you personally took. R - Results of your actions. Demonstrate leadership across a variety of extra-curricular and work experience opportunities. Be yourself, they will ask more about your personality and your feelings, with the interviewer instead of your university background. Be prepare for a challenging career. Internet-based application, including CV details and questionnaire. Initial application is followed by online and in-person assessments, including a reasoning test. Succesful completion of assessments leads to interviews which are the final stage of the application process. Draw examples of your capabilities from all aspects of your life, not just from your academic experience. Be ambitious, P&G is competitive and look for people who will strive to grow. Prepare well and take your time for the application process. It is certainly worth doing one excellent application than five mediocre ones! Read about the company - do your research! Then think about stories that you can compare against the typical interview questions. From there, just be yourself and enjoy the interviews. Real world examples to show characteristics, interest in job area outside of academic study. Be creative and different. Make sure your cover letter is unique and will attract attention. Prepare well for the online test and prepare even more if you are invited to the second test. In the interview you will be asked to describe situations where you have shown special skills (e.g. leadership, innovation, team work...). Review your CV and everything you have done before. Be relaxed and natural. Practice the reasoning tests! And learn what the Success Drivers are (which are online on the careers website), which are the competencies that P&G hire against. Be yourself. The interviews at P&G are relaxed and more like a conversation. P&G will give you an excellent foundation to build your future career. Be open minded and try to think critically about how you could influence change and improvements in the business you are working on. Focus hard on all the skills you have gained from your past experiences. List lots of examples of when you have showed leadership, teamwork and other key competencies so that you are well prepared for your interview. Don't feel restricted to academic examples, so long as the skill is relevant it doesn't matter if the context comes from hobbies and life experiences. Make sure you have a selection of answers to 'name a time when' questions that are varied and showcase what YOU did without sounding cocky. Name a time when you lead a team, name a time when you disagreed with someone and how did you come to a conclusion, name a time when you showed leadership. Plan in advance, check for application dates regularly. Be yourself, if you fit P&G you'll get in. It is best to apply as a summer or year intern. Then continue as a graduate if you fit well with the company and enjoy it. Think about lots of examples of experiences where you have demonstrated teamwork and leadership skills. Don't rush. Take your time to answer the questions. Where possible link your answers/examples to the Company's Purpose, Values and Principles (you can find these on the website). Leadership skills are a priority - show where YOU personally have led a team, task or project from start to finish and make clear what the results that you achieved were. As opposed to talking about a character trait you think is desirable, instead mention something you have done which inherently reflects this skill - 'demonstrate not state'. What should be clear in your application is your desire to work in and passion for a certain area of the business and why, as opposed to relevant work experience where actual achievements were minimal. E.g. '....you led a group of people to success'; '...an idea of yours brought about change'; '...you were involved in a conflict at work'; '...you had to change a plan at the last minute'. Interviewers look for examples that demonstrate key capabilities such as leadership, ownership, agility, discipline etc. Prepare scenarios from your work, university, school, extra-curricular activities, holidays etc. that you can use as examples to answer these types of questions. The process is very structured, prepare different points you can talk about once you understand what the process is about. It is all about preparation. Ensure your CV is up to scratch and emphasises what you have done in your academic and extracurricular life. Focus on what you have to give the role. Be yourself and show how your strengths and experiences make you the best fit for the role. Don't get bogged down by regurgitating company data and PG history. Have several different tangible examples of leadership for your application form & the online personality questionnaire. Be concise and focus on the results or actions of each example. Similar to above - the interviews are largely competency based and they hire the person and then give you the necessary training afterwards. Don't include anything on your CV if you can't expand on it and try to have a variety of examples - e.g. not all captain of a sports team. They are also looking for initiative and drive so you don't have to have had a title in a group for it to be a good example. Read up on the Success Drivers which is what they assess you on. Think of situations where you had strong leadership behaviours. - when did you convince someone to change their mind etc. Be yourself and show clear tangible examples of where you have made a difference or impact in whatever you are doing. Look up the values and principles of the company, show leadership skills. Research the company's purpose, principles and values. Show how you are a team player. Ensure that you have examples from past experiences. Be genuine - there's no faking to be a completely different person that can hold up after the internship. Make sure you practice and nail the tests. Always answer in a Context, Action, Result format. It's a competency based interview. Always practice and even write out your examples beforehand... it can be tough in your first interview to think of a time when showed leadership and then answer it in a CAR format so your make sure you're prepared! Go for it! You will learn so much in a short space of time and work in an industry which has a tangible influence on national shopper habits. You will work on many new launches that touch all the P&G commercial functions & external influencers, from negotiating space and promotions with the retailers to joint marketing and supply chain efficiencies. Just be yourself. At P&G we recognise it is just as important for the company to be right for you and you for the company. Focus on your own stregths and leadership experiences vs regurgitating P&G history and company data. Best way to prepare is by looking at the success drivers on the P&G website and thinking of examples where you have demonstrated each one. 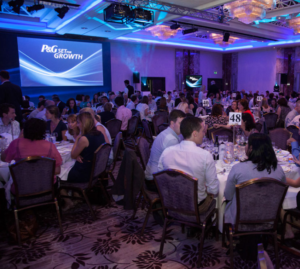 Doing your best and working hard is expected of every employee - you need to be prepared to lead, innovate and communicate well to be recognised and get the most out of your time at P&G. Be confident and tell the company how good you are. Make sure your passion for the business and for technology comes through in your CV and covering letter! Always think about context, action, result, when answering questions. Be confident, be personable and make it a 2-way conversation. Practice the online tests don’t just jump straight in to these as this is where we lose a large proportion of people. Try to structure your CV in a logical way and make sure why you are applying for the role and company comes through on your covering letter. Just be yourself and be truthful they are looking for people who will great for the company but who they will also enjoy working with. Really highlight examples of leadership - this can be in anything you have done at uni/volunteering/sports/societies/work placements. Make sure you explain your examples in the CAR format - don't just give a one line job description. Try and structure your answers in the CAR format, and know your CV inside out so you can give varied examples. Structure responses according to the context of the situation, the action you took, and the result that occurred. Most people forget to include the result. The interview style is largely based around "give an example of when..." so have answers prepared and try to draw on a variety of experiences - not just the same one time and time again. Commit to it. It is a fantastic experience, which you won't regret. Don't overthink your strengths and weaknesses, rather then of examples in which you have proven certain skills. How did you handle XY situations and why. The biggest criteria for marketing is "positions of leadership". P&G looks for people who can take responsibility from Day 1, and show initiative. Get your application in early and be thoroughly prepared for every step, there's plenty of advice and tips out there on each stage if you search for it. Interviews will comprise of competency based questions, remember what the company stands for and try and answer in a concise manner with this in mind. There are a lot of application stages to complete. Please be patient. Prepare well for logical tests. Interviews are usually held in form of questions, like “Please tell me about one situation where you were better than the team.”, “Please tell me about one situation where you showed flexibility/ managerial skills and so on”. Learn the PVPs before an interview. Come to the interview with examples in your mind of times when you've exhibited the PVPs. Show your skills, interest and passion using examples from your past. Every example should be from a different situation to show your breadth of interest and activities. If you have good enough grades and good character, and have not just gone to school and uni thorughout your life, but have done lots of stuff outside of that, you will do well in my opinion! Let your character shine through. It's taken for granted that you'll be intelligent if you get through the test stages, so by the time you're at interview, it's all about how you are as a person, how you interact with people and how you can think for yourself. Make sure you are applying for the area you are most interested in, lateral movements in the company (between brands) can happen but are less common than shown in your original entry line. As always be yourself, never say you know something you don't. P&G is great at training people in everything they need for the job so don't worry if you are missing a specific technical skill, they will focus on your overall capabilities. Read and understand our Purpose Values and Principles as these are very much alive at P&G. Read and understand our 'what we look for section' on the careers website. This is really what your interview will be assessed against. Get prepared for online tests before taking them - they are not trivial at all. Use CAR Context, Action, Result. They really like this and shows good structure. Same again use CAR Context, Action, Result. They really like this and shows good structure. In the interview be yourself, the managers are hiring people they want to work with so if you lie they will soon find out. Practice for the online tests!! Advice on the website and at University Careers Services! Ensure your CV is short and punchy - it needs to be highlights of your key skills while ensuring the reader stays focused. The online test needs to be done honestly without any distraction. The focus throughout the process should be around leadership. Make sure you spend time to look at and understand the success drivers and always relate your answers to the success drivers as they are a key part of the application process. I would definitely do practice papers on the verbal and non verbal sections if you're not used to them - they aren't difficult but some people fall down here just because they haven't practiced! If applying for the process engineer manufacturing roles they will usually look for an engineering degree, where as the distribution centres will usually look for engineering or supply chain management degrees. Again - it's all about the success drivers when thinking about what questions you could be asked. Expect there to be up to 2-3 separate interviews with different indivduals across the site. Just be yourself as even if they don't think you're a fit for a certain P&G job, they may see you fitting somewhere else. An understanding in TPM systems would be beneficial as P&G is built on its own interpretation of this philosophy. Otherwise, having experience in leadership & people management would be useful. You can best prepare for what would be expected of you by the company by visiting the website and learning about the P&G Success Drivers. Be prepared to sit some relatively simple aptitude assessments. Overall, P&G's main focus is it's people, so it's important that you are true to yourself throughout your application. We have a really great leadership programme here too, so try to highlight your leadership experience in any capacity. The other thing to realise is that P&G are quite different to most graduate recruiters, and the process is pretty bespoke. Make sure you read through all the info available on the web and look for more - but don't get put off if you're not jumping through exactly the same hoops that you do for everyone else! Preparation is everything, however you don't want to fall into the trap of being too automated. I found it useful to google potential questions and write three or four word answers about a relavant experience that would trigger a useful response. Don't get carried away with scripting every answer, the team here want to see what you are like and how you naturally respond to situations. We have a set of success drivers that we look for in our interview process, so it's always good to look through those on the web and see if you have any good examples of when you've displayed that trait. Have concrete examples of when you've shown the success drivers and be 'human' in your interview. P&G hire the person and add the skills later. As above. Be yourself. Cheesy but really important. Be true to yourself, and be passionate about your career. The best is if you love what you do - and show it when you apply for a job advert. At this company you're not applying for just a job - you're applying for a carreer. Prepare with a lot of examples from previous experience (can be university group excercises as well), when you can demonstrate how you have great skills to solve issues. Go along to P&G career events if you see the opportunity. Talk to one of the employees there, follow up with an email and get their advice for when you are applying. Have a lot of examples where you have been in positions of leadership, or self-started projects. For Research & Development - be technically curious and interested in the science of how and why things work. Talk about projects you've worked on. Study hard. Do research on the comany you are working for. Try and get some work experience, even if it means working a few months for free. Talk about hobbies and interests. - Try and include team sports and individual sports. Don't ask about sallary / holiday straight away - let them ask you that..
Study some mensa tests for the tests you will get during the interview. Make sure you understand what you bring to the table before you apply - look at everything you have done and achieved and make sure you highlight all those key achievements in your application. Also, understand what the company is looking for before applying, that will help you frame your application appropriately. be yourself and try to not be too nervous. An interview is a conversation about you and about the company...you have already nailed by 50% of it by just understanding what you want, what you have to give and what they are looking for. Do your research. The P&G Careers website is extremely informative and gives a true indication of what they are looking for. Don't try to change based on what they are looking for. If it doesn't sound like your strengths, it might not be the right thing for you. 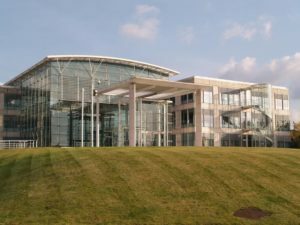 Read up on what each function/business area does at P&G so you can make the best decision about which role is for you. Because we hire people as managers straight into the function of their interest, with the intention of growing them within this function, you should have a good idea of what it is that function does. Luckily, we hire a lot of graduates through internships so there is an opportunity to see over a 10 week (or 12 month period in some cases), whether it is for you or not! You don't need to have an prior knowledge or experience in the area you are applying to but really do take the time to understand P&G's values and what we look for (success drivers). If you know this, you will likely be better equipped for the interview. Listen carefully to all the advice that you're given and apply any learnings. The process is seeking to understand i) how well you have performed in the past and ii) your ability and potential to learn and perform in the future. Use the CAR method: Context (background to a challenge), Action (the steps you took), Result (what you acheived). Use the CAR (Context, Action, Result) technique again and think about how you have demonstrated each of the Success Drivers (if possible, multiple examples) in the past. Be really well prepared for the tests. Check advice on P&G website and prepare examples. Personalise your CV to the role and company. Do your research on the company, role and current environment of your industry. Prepare more than one example for each type of questions and expect follow up questions. Structure of interview is more like a conversation rather that to-and-fro of Q&A. 1) Have someone read through your CV and give you advice. 2) Emphasise what you have done in your academic/extra-curricular life to display leadership qualities. 1) Practice behavioural interview questions. Be strong in logic and mathematics, but also eclectic. Take it easy, no need to feel pressure. P&G want to know about you so give examples demonstrating qualities of your character rather than reeling off what you think they want to hear. "Give us an example of when" is the most commonly asked question - be honest, and draw upon a variety of experiences wherever possible to come across as rounded. Be honest and prepare well by going through the website in detail.